This statistic shows the results of a survey conducted in the United States in February 2017, by gender. U.S. adults were asked to give their opinion on how much of an influence economic situations have on the U.S. pharma industry. 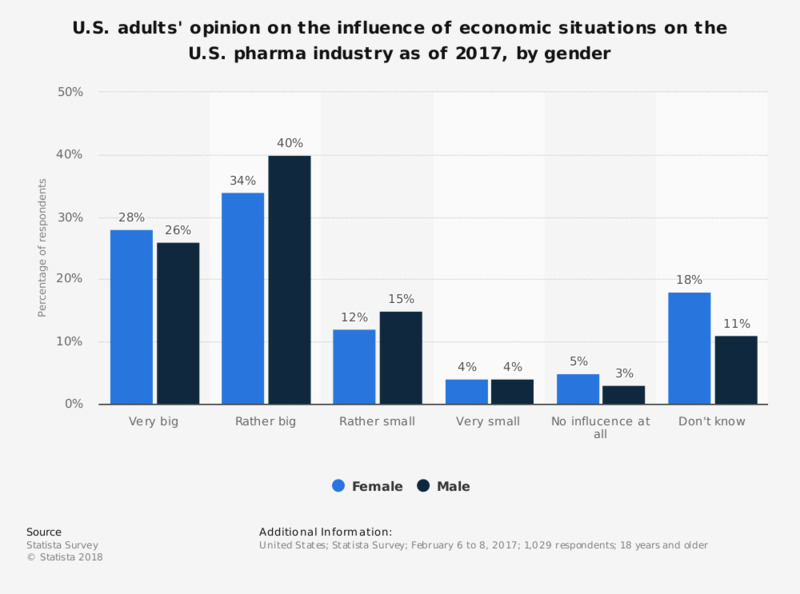 In total, 28 percent of female respondents and 26 percent of male respondents stated that economic situations have a very big influence on the U.S. pharma industry. Original question: "In your opinion, how big is the influence of economic situations on the US pharma industry?"